The all-new Eclipse Cross CVT will be available in 4×2 and all-wheel drive. Boasting Mitsubishi’s unique Super All-Wheel Control (S-AWC), the all-new Eclipse Cross offers a defiant new-genre coupé approach, fusing stylish design and functionality for trendy individuals who are looking beyond the latest trends. The latest arrival in the Mitsubishi Motors South Africa stable expands the local product offering to six distinctive models in the range (ASX, Outlander, Pajero, Pajero Sport, Triton and now the Eclipse Cross). 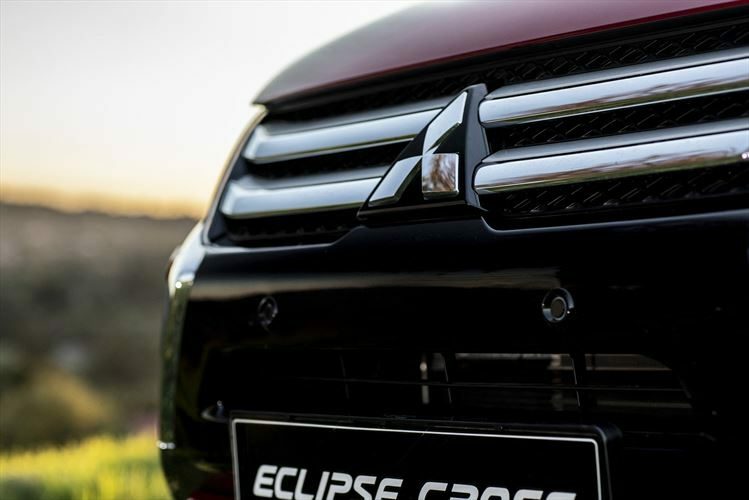 “Eclipse Cross, which surpassed the global sales milestone of 80 000 units since its international launch 12 months ago, boasts a coupé-like exterior and is perceived more modern, distinctive, dynamic, advanced and sportier than most of its competitors,” says Nic Campbell, General Manager of Mitsubishi Motors South Africa. The all-new Eclipse Cross CVT will be available in 4×2 and all-wheel drive (AWD), both with a 6-speed CVT gearbox with Sports Mode coupled to Mitsubishi’s 2.0-litre MIVEC petrol engine. The latest model offers cutting-edge technology to deliver a bold action adventure compact SUV that takes you beyond the everyday. “The three primary product attributes of the all-new Eclipse Cross are stimulating design, confidence-inspiring driving and human connectivity,” says Campbell. The stimulating design concept of the all-new Eclipse Cross brings the new compact SUV into the modern age, combining the latest styling design with incredible driving dynamics and innovative, intuitive safety technology. 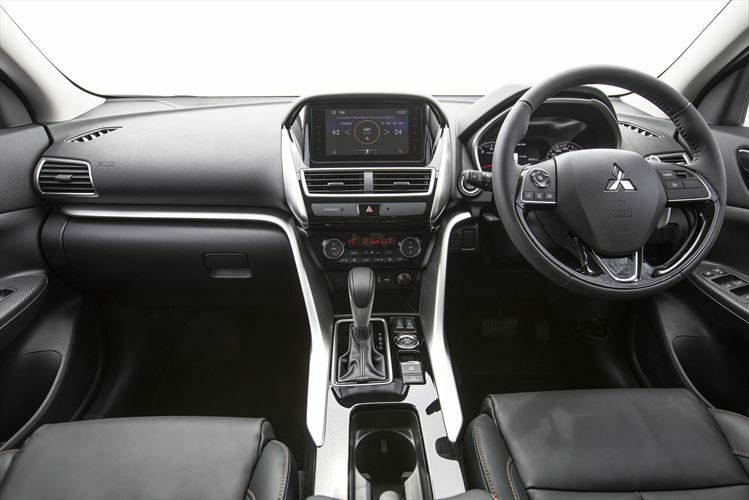 Winning a host of international awards, including the prestigious GOOD DESIGN award for Design Excellence and Design Innovation, the Mitsubishi Eclipse Cross was named the Automotive Researchers’ & Journalists’ Conference of Japan “RJC Car of the Year 2019”. Judges praised the sharp looks, excellent rough-road performance and well-balanced drivability of the Mitsubishi Eclipse Cross. Its defiant design concept focuses on a fine balance between the wedge-shaped coupé style and practicality of space and comfort, with its adventure character creating a sophisticated balance between sport and style. On the outside, the front face expresses dynamism and sportiness based on the “dynamic shield” design concept, with Japanese craftsmanship including a functional and hi-tech lighting design. 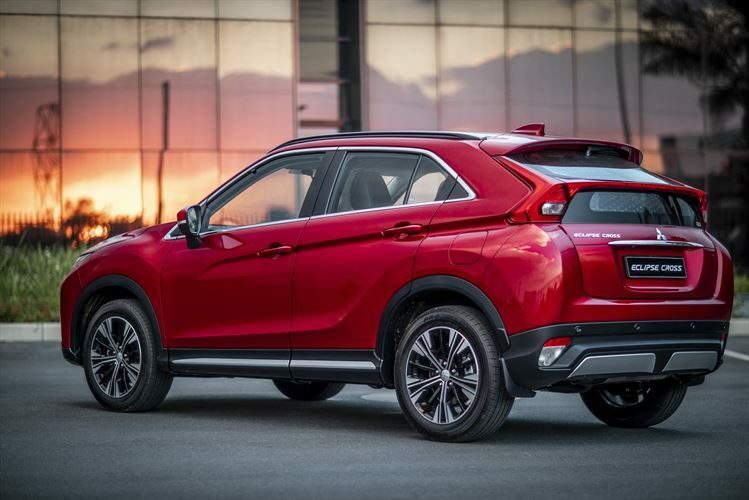 Part of the Eclipse Cross’s Japanese Craftsmanship is the new Red Diamond body colour with high brightness and high chrome which emphasises the vehicle’s vibrant styling further. The strikingly lustrous Red Diamond paint is created by a multi-coat process that includes the layering of a semi-transparent red and clear coating for a high-colour saturation and intensity that produces a highly-refined, deeper finish. Red Diamond is the most premium exterior finish ever offered by Mitsubishi Motors. The cockpit of the all-new Eclipse Cross has a sporty design that stimulates excitement with an ingenious selection of features, making drivers want to invite friends for a ride. 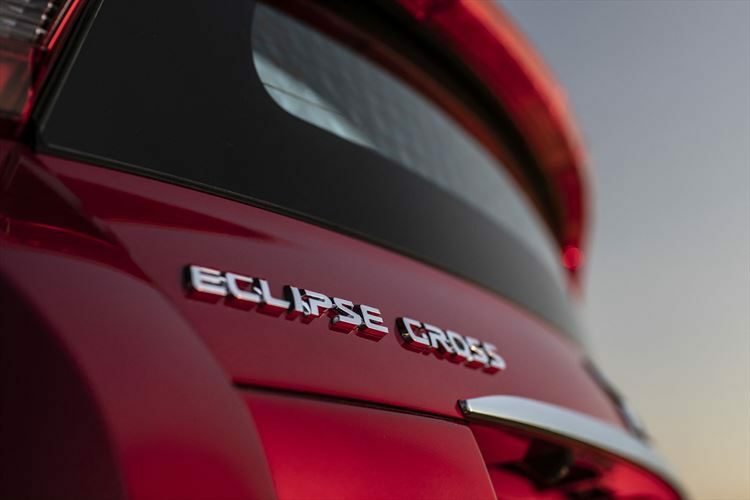 Powered by Mitsubishi’s proven 2.0-litre MIVEC engine, coupled to a finely-tuned 6-speed CVT with 6-step Sports Mode, the all-new Eclipse Cross offers excellent acceleration that gives the new model a dynamic feeling behind the wheel. Mitsubishi’s unique Super All-Wheel Control (S-AWC) ensures outstanding stability in all road and driving conditions, offering agile handling for unequalled safety. S-AWC is the integration of the vehicle dynamics control system with the controls of each component around the all-wheel drive system, offering the driver additional safety and comfortable driving. If the driver unintentionally brakes or accelerates too much in a normal turn in slippery conditions, the system helps the driver to maintain control safely with usual steering inputs. S-AWC detects the vehicle’s position, decides the proper torque distribution between the front and rear and left and right wheels using power and brake control, ensuring sure-footed control. The highly-efficient power train, with Smart Driving Assist and Active Smart Safety, offers confidence-inspiring driving and ultimate peace of mind. Another outstanding feature is the full-colour Head Up Display (HUD) that sharpens the sensitivity of human and machine connection. The all-new Eclipse Cross has an advanced human-centric cockpit thanks to its meticulously designed layout, giving the driver intuitive command of the vehicle in all conditions on or off the road. As an optional extra, connecting your mobile device to a 7” touchscreen Infotainment system (with built-in GPS) via Bluetooth allows the driver through Voice Control to access the phone’s compatible apps and stored information to get directions, make calls, send and receive messages and enjoy music from the phone or any Apple Car Play and Android compatible device. Standard equipment is a standard touch-screen radio. Everything is taken care of thanks to a smartphone storage tray and USB connectors in the centre console. The HUD conveys relevant vehicle information in full colour above the instrument cluster for easy viewing without the driver having to take his or her eyes off the road. The image brightness and display height can be adjusted to suit driver preference and time of day. The screen extends or retracts when the ignition is turned on or off. Apart from the HUD, the sporty, meticulously crafted cockpit includes next-generation technology and connectivity, enhancing driver awareness and control. 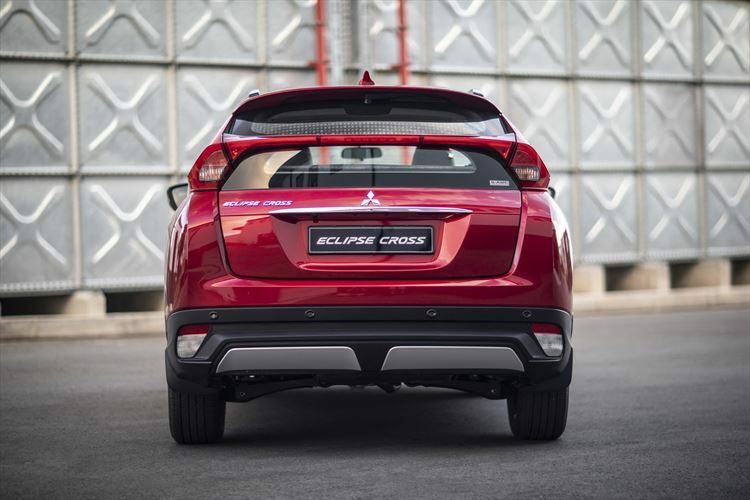 Mitsubishi’s product offerings in South Africa, the all-new Eclipse Cross boasts a full complement of advanced active and passive safety features. The new model has 7 airbags, including driver and front passenger, side and curtain airbags and a driver knee airbag, which provides an extra level of protection when the driver might need it most. 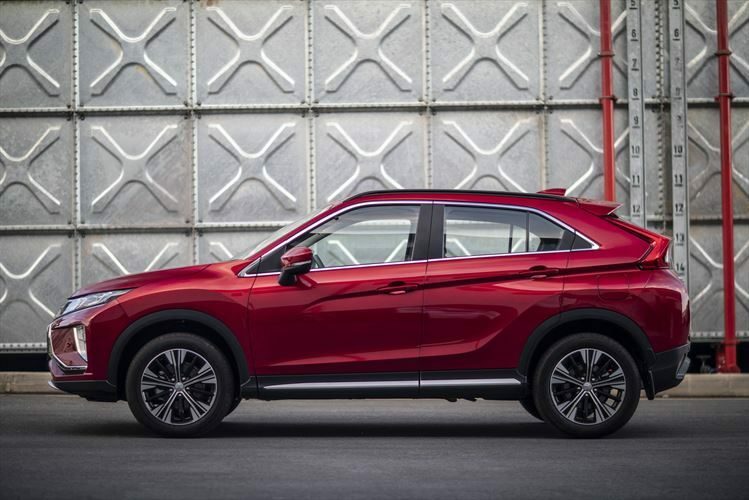 The all-new Mitsubishi Eclipse Cross will be offered in two derivatives for the South African market – the two-wheel or front-wheel drive version and the all-wheel drive model. The 2.0-litre MIVEC DOHC 16-valve 4-cylinder engine uses ECI-Multi Point Fuel Injection with an output of 110 kW @ 6 000 rpm and 198 Nm of torque at 4 200 rpm. Coupled to this engine, the INVECS-III CVT (Continuously Variable Transmission) with its 6-step Sports Mode delivers effortless acceleration from any speed, slick gear changes and a smooth ride. The driver can also control the shift steps via the Paddle Shifts behind the steering wheel. Keeping the engine at optimum performance at all times, the CVT enhances fuel efficiency. All this is possible due to a new modified torque converter & damper assembly, changes in final gear ratios and software. The CVT with 6-step Sports Mode contributes to the 2.0ℓ MIVEC engine’s outstanding fuel consumption of 7.9 ℓ/100 km (combined cycle) for the 4×2 and 8.1 ℓ/100km for the AWD derivative. Both models boast a turning circle of 5.3 m and a ground clearance of 180 mm. The 4×2 derivative has a fuel tank of 63 litres while that of the AWD comes to 60 litres. 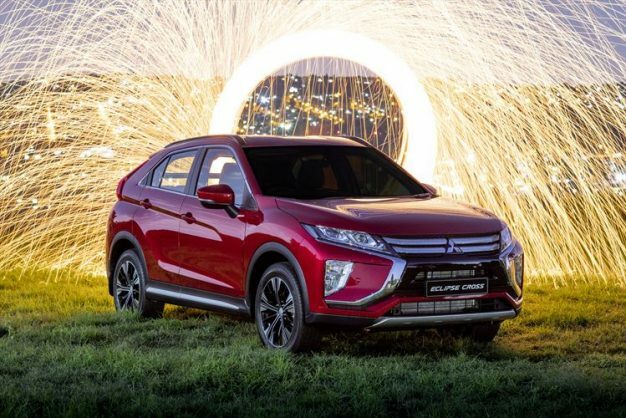 The introduction of Eclipse Cross as part of Mitsubishi Motors’ compact SUV range in South Africa has created the opportunity for the company to realign the ASX range with the introduction of two new derivatives – the ASX ES M/T and an ES 6-speed CVT derivative – with its retail prices at R359 995 and R379 995 respectively. An official press statement to follow in the last week of February 2019. The all-new Mitsubishi Eclipse Cross enters its segment as a massive value-for-money offering. 5-year / unlimited mileage Roadside Assistance. Service intervals are every 15 000 km.